Financial Turmoil in Europe and the United States shows George Soros responding in real time to a rippling earthquake of financial instability. In this collection of essays written since the aftermath of the Crash of 2008, he addresses the urgent need for the U.S. to restructure its banking and financial system. He anticipates the globalization of the crisis and, in particular, its perilous second phase in Europe; and finally he calls for concerted international action. While charting the journey from the American mortgage crisis to riots in Athens, Soros often reveals an alternate course to that chosen by the U.S. and European governments. 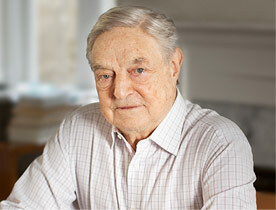 Soros was among the first to appreciate the scale of the disruption, and that “these are not normal times.” His analysis is cogent, informed by years as a fund manager and supporter of European integration. His concern for the eurozone’s future is palpable, as the markets test Europe’s banks and political processes to the brink of destruction, to a degree never before seen—or foreseen—since the creation of the European Community.